As the ﬁrst global hybrid B2B marketplace platform we make it easy to conduct B2B commerce anywhere. 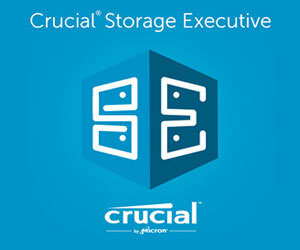 We provide the fundamental technology infrastructure to give manufactures, distributors, vendors, buyers and customers the ability to leverage the power of our worldwide ecosystem to improve eﬃciency and increase sales. 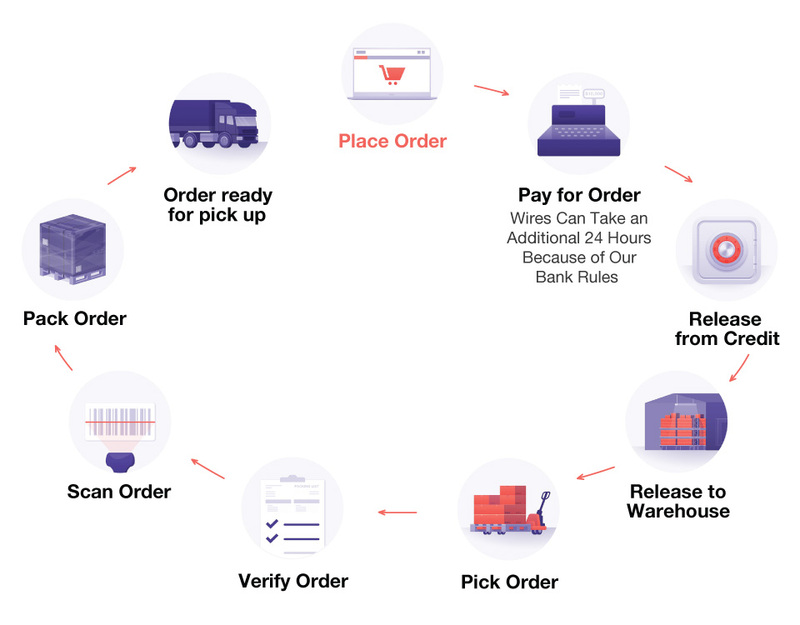 HUBX was founded by a team of serial entrepreneurs and top executives who have played integral roles in building some of the largest ecommerce and distribution companies in the world. What you want. When you want. At the prices you need. 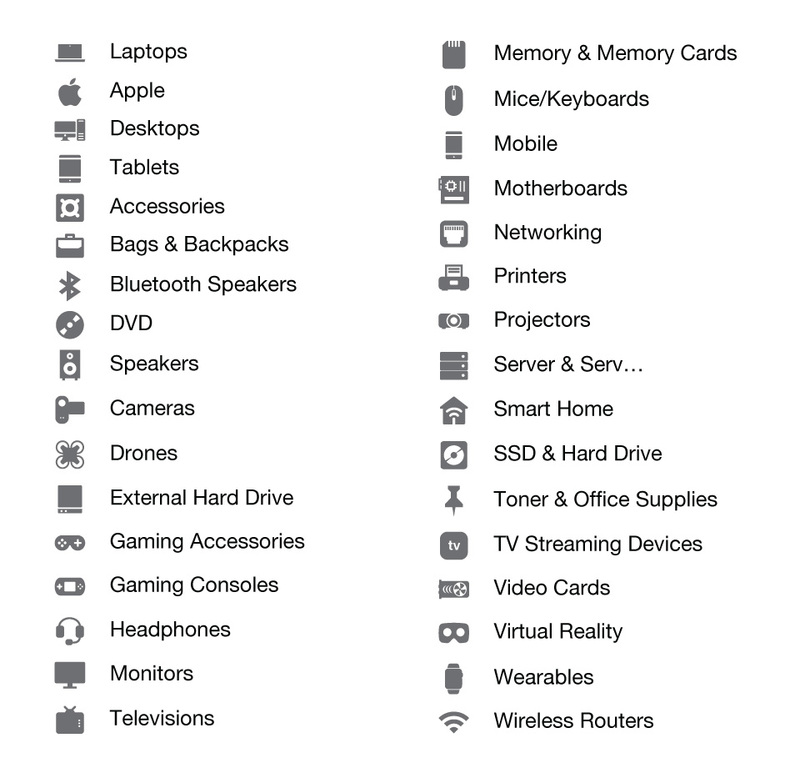 HUBX’s extensive product catalog oﬀers customers a wide assortment and access to thousands of unique SKUs. 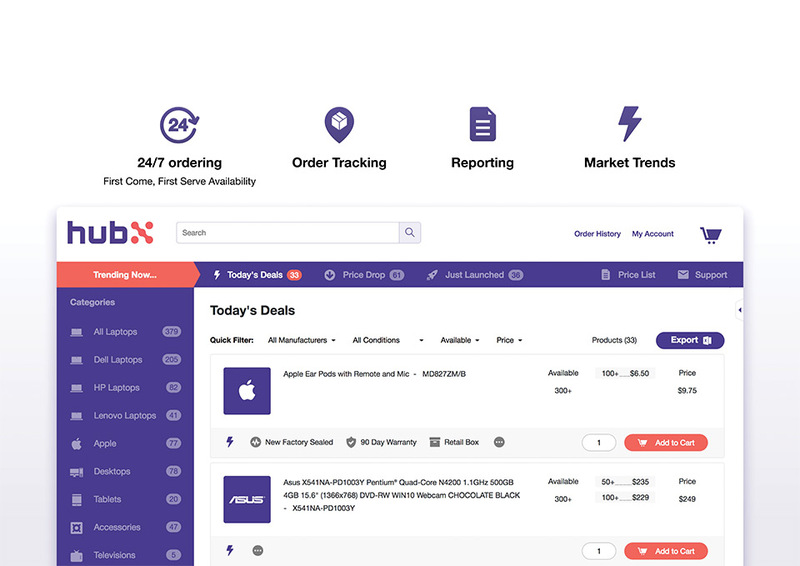 Real-time notiﬁcations are available for newly added products, price drops and daily specials to help identify market trends and immediately react to our customers current buying. HUBX go through an approval process in order oﬀer you the most competivie pricing available on the market. 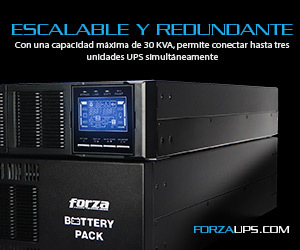 All our inventory is new, factory-sealed or factory-refurbished. 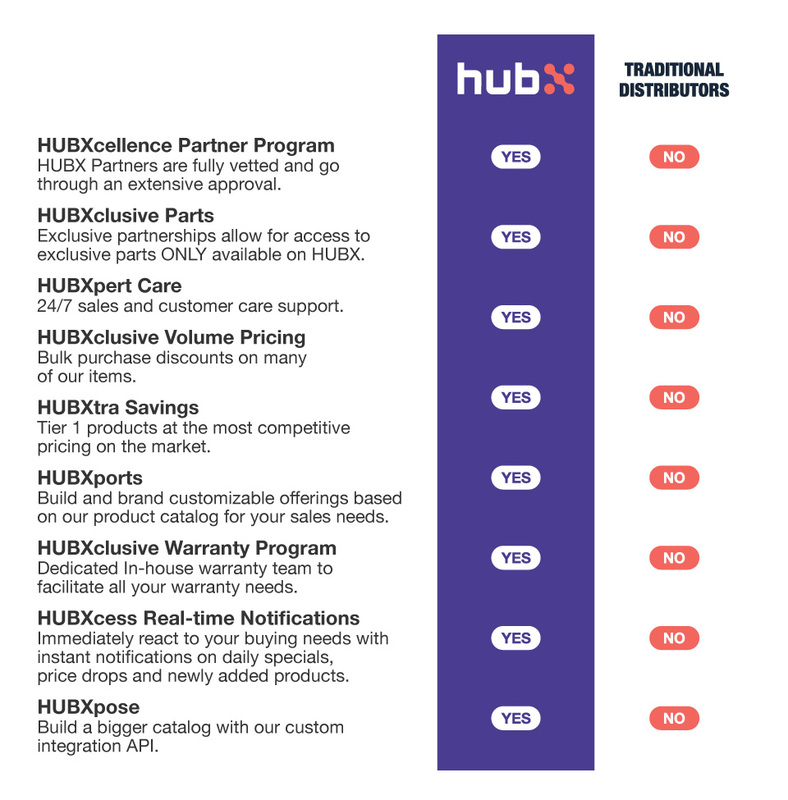 Exclusive partnerships with top manufacturers gives our customers access to products only available on HUBX. All products are consolidated from our distribution centers strategically located throughout the United States, and we ship complete from our state-of-the-art distribution center located in Miami Florida.